Is Sameera Reddy’s south career over? Yohan – Adhyayam Ondru Dropped? Nayanthara has started acting again. She had quit acting for sometime because she was supposed to marry Prabhu Deva whom she had loved deeply. Her last film that she had acted was the Telugu film Sree Rama Rajyam. After this she did not sign any new films. Nayanthara parted ways with Prabhu Deva because of difference of opinions and because of this their marriage was cancelled. Now she has taken up acting again. She is currently pairing with Ajith in a film which is being directed by Vishnuvardhan. Debutant director Mohan took efforts to make Nayanthara pair with Mammootty in his film. Nayanthara also agreed because she liked the story but it seems that Mammootty has stipulated certain conditions to act in this film. He had asked for Rs 1 Crore salary and the Kerala rights. Director Mohan did not agree for this and hence he wanted to cast Pasupathy in the place of Mammootty. Nayanthara did not agree for this. She refused to pair with Pasupathy. It looks like Tamannah will have to answer more scribes that she hasn't bid an adieu to Tamil films, now that the first look poster of her Bollywood film with Ajay Devgn has been unveiled! 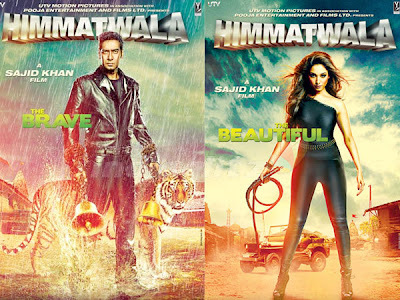 Directed by Sajid Khan, the film is a remake of 'Himmatwala' that released in 1983. The posters introduce the cast as the beautiful and the brave (Tamannah and Ajay) and calls the film a blockbuster already. While Tamannah is quite desi (Bollywood style) in one poster, she is quite hot in an other. What's your take on this set of first look posters? The Bollywood actress was Gautham Menon's muse at one point in time and had a blockbuster with Suriya in Vaaranam Aayiram in 2008. Another role followed in Gautham's Nadunisi Naaygal which didn't fare well like her flick Vedi with Vishal. Though Vettai this year was an average hit, Sameera Reddy has not bagged any new films here. Moving to Tollywood and Mollywood, the actress has not signed any flicks in either of those industries either in the last few years. Her last Telugu film was Ashok in 2006, while in Malayalam it was Oru Naal Varum in 2010. However, she recently did manage to bag a guest role in a Kannada film titled Varadhanayaka for which she's rumoured to be getting paid between Rs 35 and 45 lakhs. The initial attraction of the industry to an actress from Bollywood seems to have waned, so has the actress reached an impasse in the south? Some industry insiders feel she's too old having well crossed 30, while others say that her statuesque frame doesn't suit the roles or pairing with heroes often. The industry's constant quest for new faces has also definitely had an impact on the careers of many actresses. Says a filmmaker on condition of anonymity, "Sameera was not an A-list actress in Mumbai in the first place. She looked at south roles because she wasn't getting great films there. Her Bollywood career was supported to a great extent by Priyadarshan films and his last film, Tezz, was a dud." Now since Gautham Menon has moved on to another muse here and with other south filmmakers keen on roping A-list Bollywood heroines or new faces, looks like Sam's career here could stall indefinitely. Director Bala released the first look of his much anticipated next movie Paradesi. He has completed the shooting in 90 days. Actress Sharmila Mandre who made her Kollywood debut in Mirattal recently with Vinay seems to be flying high. Both the actors are from Bangalore and it was a surprise that they were coming together for a film. According to Sharmila, she and Vinay have been friends for ages and she never knew that she's be acting with him in Tamil. The actress is very confident about her acting skills and feels she can make a mark in Tamil films. She underwent rehearsals for a month for this flick and had mugged up all the dialogues too. She feels the credit goes to Madhesh, the director. Talking about Vinay, she says she was thrilled to work with a friend as the comfort level with him was very high. 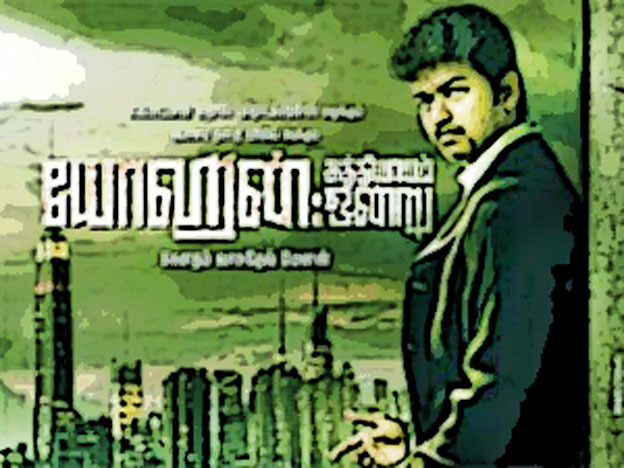 Going by the reports surfacing in the tinsel town, Yohan – Adhyayam Ondru, a project which Gautham Menon announced with Vijay in the lead is dropped. While this is the buzz that has been doing rounds in the K-town for the past couple of days, there is no official confirmation coming in yet. Even a month ago, director Gautham Menon had announced that the film will go on floors during the first week of July, but there are no signs of it till now. Sources say that Vijay's next project will be with AL Vijay after he completes Thuppaki. The buzz in the industry is that, Rajesh is all set to direct Udhayanidhi Stalin and Santhanam again in the remake of Aan Paavam. However, Rajesh refutes these reports, saying, "Udhay has got the remake rights of the film, but I don't know who will be helming the project. I'm not comfortable working on remakes because there are bound to be comparisons. Moreover, if the script is my own, I know I can handle it with ease when penning the dialogues." Meanwhile, Rajesh informs us that he will go on floors with All In All Azhagu Raja from October. He adds, "The script is in place, and I've finished writing the dialogues for the first half. Even the cast is in place — Karthi and Kajal will be playing the lead. We will go on floors with the film in the fag end of September. I guess Karthi will complete a schedule for Biriyani as well by then." 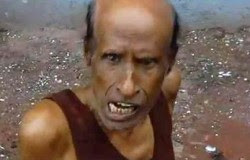 Veteran comedian 'Yennatha' Kannaiah passed away last evening following a massive heart attack. The actor was suffering from health ailments for the past month and the cardiac arrest proved fatal yesterday. 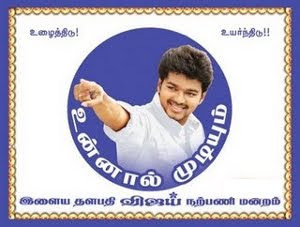 Having acted in over 250 films so far, including Thottaal Poo Malarum, Sorgam, Idhaya Veenai and Paasam, 'Yennatha' Kannaiah carved a niche for himself in the film industry. He was 87 years of age and was survived by two sons and four daughters. The last rites of the departed soul will take place today in Chennai. Tamilkey extends its heartfelt condolences to the bereaved family.